I grew up on Dragonlance, probably spending way too much time playing role-playing games, particularly Rifts and AD&D. Then came the video games, including Legend of Zelda, Doom, and Diablo. Much of my youth could easily be considered “wasted” exploring virtual dungeons, but Nintendo was life in 1986 Toronto. I suppose my favorite sagas are Harry Potter, Ender’s Game, Lord of the Rings, Narnia, and Game of Thrones. I also love true life survival tales like Into Thin Air, Shadowdivers, and Perfect Storm. I have way too many books on the go at one time, because I’m disorganized like that. As for movies, I regularly re-watch Bladerunner, Star Wars, Highlander, Aliens, Rush (yes, the racing movie), Limitless, Edge of Tomorrow, and Interstellar. Oh, and Conan the Barbarian, which you are not allowed to judge me for. When I was a kid, I dreamed I could jump off the ground and fly by spreading my arms and using them as wings. My head was in the clouds, and in some ways still is. It would be fair to say that my love of fantasy began then, refined under the covers with epic Dragonlance books. 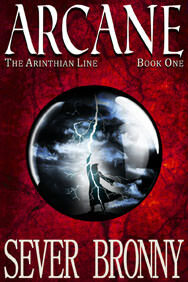 The Arinthian Line is my first series, consisting of Arcane, Riven, Valor, Clash, and Legend. 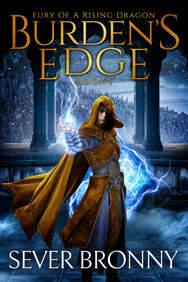 My second series is titled Fury of a Rising Dragon, and begins with Burden’s Edge. Both were inspired by youthful adventures as a Polish boy scout. Seriously. Because if it hadn’t been for HP (J.K. Rowling), I’d never have dared. 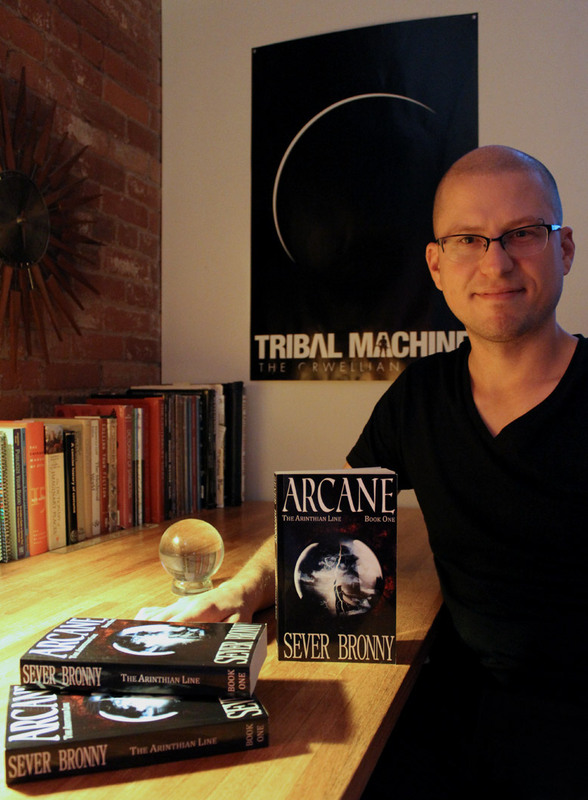 I enjoy talking to my readers, so if you read one of my books, you’re welcome to shoot me an email at severbronny@gmail.com. Throw me a question, hit me with your favorite character, or why you enjoyed the series, or just email to say hello. I also blog and update the site when the mood strikes me. All right! If you enjoyed reading The Arinthian Line, you’re welcome to subscribe to my newsletter to receive a notification when I release a new work. I know how fortunate I am to be a full time author. I am grateful for it every day. My other passion (on hiatus): Tribal Machine (Industrial rock in the vein of Nine Inch Nails, Pink Floyd, The Doors).